Instructional designer and elearning developer with a strong focus on game inspired design, action-based and scenariobased learning. Techie programming background giving an extra edge to my development skills. "HI Ibrahim, this has been discussed in this thread https://community.articulate.com/discussions/articulate-storyline/upload-my-storyline-..."
"They are lovely. Thank you!" "Amazing graphic design and animations!" Miranda Verswijvelen replied to the discussion How Do You Encourage Course Feedback? "We have implemented this via our LMS and kept it short. We've got 4 Likert scale questons (fun, informative, engaging, applicable) and t..."
Miranda Verswijvelen replied to the discussion translation tool: what order are objects/text containers exported to the Word table? "Hi Denise, I have had the same puzzle as you (very hard if people need to translate! ), and I think I've figured out that it puts text in..."
"Hi, I have an issue with a slide that contains a 'Pick many ' action, where user has to tick checkboxes (I did not use the standard quest..."
"Scenario based course on fire awareness. LearnX 2015 Platinum winner for Rapid Authoring"
"So much fun. Would recommend the integration of this after any Storyline training :)"
"Hi Sergey, I can't get this to work in the Storyline course I am creating. The Branchtrack file does not seem to pass on any data - is ..."
"Happy Birthday to the ELH challenges and congratulations on creating one of my favorite places for inspiration. When I feel a bit stuck w..."
"It works, brilliant. The Articulate community is the best :)"
"Thank you! I'll download the update." "Hi there, Has this issue been resolved? The SL2 version on my laptop shows the same behaviour since a few weeks. I need to enter my s..."
"Very cool, I love to use silhouettes in courses. Often a great way to avoid looking for pictures of people of different cultures to inclu..."
"I have recently made a small learning game for our acute care doctors to remember the acronym ABCDE. I have perfected a countdown timer f..."
"Not an entry, but something to watch. This talk was a real inspiration to me in searching for effective and non-annoying ways to introduc..."
Miranda Verswijvelen replied to the discussion States for a group? "Just adding - this is very helpful when you want to create a button set of grouped objects too! " "Hi Michael, This is a great solution for a timer, thank you! It is strange how trying to do that with only one layer seems to create th..."
"Hi Steve, We have encountered it on IE 10 and 11. We are using Totara LMS (the commercial version of Moodle)"
" We are successfully using it in a privacy course, where we pull the learner's name through to feature in privacy breach scenarios. It ha..."
"As usual, when stuck for ideas, I wander around related challenges... great excuse, as I do not always have the time to check them when ..."
"Quite late - but I like to share to hear some feedback from this wonderful community of experts. Sharing some drawings I made in Powerpo..."
"Thanks LInda, I really should brush up my Photoshop skills! I mostly use Powerpoint, learning lots of all the wonderful people in this ..."
"Loved so many of the examples. 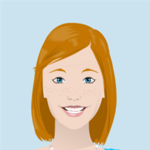 Linda how did you get the look for your illustrations? My own late contribution - part of an infectio..."